One of the questions the posed to SBC presidential candidates: "Do you see any reason for non-Calvinist Southern Baptists to be concerned about a renewed emphasis on Calvinism in some Southern Baptist churches and seminaries?" Only a Universalist could hope to reconcile Calvinism with Arminianism. Ferg doesn't understand why some people turn into Calvinists when they go off to Bible college. He asks, "What is it about knowledge that can usurp what the heart tells us?" Well, as Jeremiah 17:9 says, "The heart is deceitful above all things, and desperately sick; who can understand it?" If you are curious, I would suggest the writings of John Piper. You'd be hard-pressed to find a more loving, compassionate, and humble servant in the church, yet he's one of the most devout and articulate Calvinists you'll ever meet. "It is completely wrong," thinks Gregory MacDonald, "to assert that God's essential nature of love would not be compromised if God failed to love his creatures." Aside from the fact that love is only one aspect of God's nature, scripture teaches us that genuine love must hate (Romans 12:9), otherwise it isn't love. Don Boys, Ph.D., leaves no TULIP untrampled. Yeah, he even brings up Servetus. True love hates what is evil, it doesn't hate human beings in contradiction to Jesus greatest command: "love the Lord your God...and love your neighbor as yourself." In Calvinism, its more like, "Love God, and forget about your neighbor, because God will probably damn him unconditionally"
Yes, Kyle. That's exactly what Calvinists teach. Love God, hate your neighbor. Note that the person I'm referring to is a universalist. Are you saying you adhere to his definition of love? You know, if you carry Arminianism out to its logical extreme, it isn't too far from the "God loves everyone, so no one is going to hell" theology of universalism. You are bashing a caricature of Calvinism as opposed to the real thing. No true Calvinist believes what you are suggesting. I am "bashing" the only consistent form of Calvinism. Any deviation on the part of inconsistent Calvinists simply amounts to a failure on the part of Calvinists to take their theology to its logical conclusion. If my conclusions about the various aberations of Calvinism don't follow, I'd like to see arguments to that effect - but none have been forthcoming. Calvinists either stop talking with you, or pontificate upon the "mystery" of God's ways once you back them into a theological corner. Take this issue of loving your neighbor for instance. In Matt 5, our love is based upon God's love. So, if Calvinism is true and God hates most people (by unconditionally damning them) and calls that "love," shouldn't we "love" people as God "loves" them? If not, why not? You better be careful if you're a Calvinist: you may love someone more than God loves them! ;-) Seems problematic if we end up being more glorious than God in our theological system. That's why we need Arminianism to uphold God's true glory. God's love can be refused, that's why there is a hell, Lee - not for God's arbitrary pleasure, as in Calvinism. Face it Lee, Kyle has us Calvinists dead to rights. He may even find out that we eat babies and kick puppies in our spare time. After all, as a student at a seminary that describes itself as: "Committed to a vital evangelical Christian faith, Asbury Seminary is rooted in the Wesleyan-Arminian theological tradition which stresses the free grace of God in two ways: First, the grace of God is free in all - not dependent on merit nor on works. Second, the grace of God is free for all - all may be saved. Christ died for the whole world. People are lost, then, not because they cannot be saved, but because they will not be saved." , I am sure that Kyle has been taught a reasonable, balanced view of Calvinism. After all, no Calvinist can argue in support the doctrines of grace. All those books and articles are just focused on the "mystery" of it all. Egad, Kyle I hope you keep your tuition receipts. Interesting, you don't present one single argument in defense of Calvinism, but instead go for the ad hominem attack - thus proving my point entirely. I have read my share of Calvinist literature, and the overwhelming majority of Calvinists simply fail to take their theology to its logical conclusion. Do Calvinists affirm the conclusions I draw out? Of course not! They vehemently deny them! But my point is that they have no sound basis whatsoever for denying them; their theology leads directly to these problems, and when I bring them up, all I get is responses like the one you have just offered. I was quite familiar with the Calvinist/Arminian debate long before attending Asbury as a self-confessing Wesleyan. I'm quite aware of the usual defenses of so-called "balanced" Calvinism, and they simply fail to make the case - as they have failed for hundreds of years. Calvinists can deny these conclusions as loudly and as passionately as they want, but I'm afraid that isn't a substitute for a sound defense. For all of their penchant for theological rigor, it astonishes me that Calvinists shortcircuit when it really comes down to the theological wire - as is evidenced in your comments here. No defense, just rhetoric. The logical conclusions of Calvinism are horrendous. That's not something to blame me for pointing it out, for it's not my theology, it's yours. I must hasten to add that it astonishes me how loudly Calvinists whine when an Arminian offers a strong attack on Calvinist theology, when Calvinists are historically notorious for launching baseless and inaccurate attacks on Arminianism (it's "man-centered," not about "God's glory," doesn't allow God to be "sovereign," "doesn't let salvation be all about grace"). Calvinists are great at dishing out attacks (which are roundly answered by Arminians who, instead of whining, actually answer them) - they are not so good at defending against attacks to their own theology (besides, perhaps, the ingenious and frequent appeal to postures of piety and mystery). Kyle, just because you haven't been "converted" to Calvinism doesn't make us failures. All of your arguments have been dealt with by someone at one point or another. I think people lose patience in trying to debate Arminians of your type because you prove yourselves frauds at the outset. You are the ones who start out with the ad hominem attacks by using terms like "the Calvinist God." (In your blog post I linked to on May 16, you made sure to draw a distinction between the Calvinist God and your God.) You then proceed to set up straw man arguments to "prove" your point that we are following a God of our own design. And yet you still call us brothers. Are we worshiping the same God or aren't we? Because if you honestly believe Calvinists are following a God they have created, then that would make us idolaters. Can an idolater be your brother, Kyle? You are either being disingenuous when you say we follow a different God or when you say we are brothers. Well, which is it? Why not just have the guts to say what you really believe? Enough of the doublespeak already. I do believe that when Reformed theology is consistently applied, it leads to an abominable view of God that is unscriptural. Therefore, logically, it is a human creation, since it's not reality. When I talk about the "Calvinist God," it is shorthand for "Consistent Reformed theology's view of God." But does this mean Calvinists aren't Christians? Of course not, because most Calvinists are inconsistent, and at any rate one need not have their theology perfect to be a Christian. I make it very clear on my blog that Calvinists are Christians. Nevertheless, that does not diminish the fact that the consistent Calvinist view of God is indeed unreal, and abominable. Calvinists frequently speak of Arminians as if they are barely Christians, they wish to uphold man's glory, man's freedom, detract from God's sovereignty and freedom, etc. R.C. Sproul went as far as saying that Arminians are barely Christians. Well, I'm willing to grant that Calvinists are fully Christians. But their view of God is simply abominable and unbiblical, when applied consistently. So I think my position is quite coherent. You may call me a fraud, but my conscience is clear before God - I am defending His glory and character in the face of consistent Calvinism, but while at the same time loving those Christians who mistakenly and openly assert such horrible things about Him, like John Wesley did before me (see the sermon Free Grace). BTW, if my arguments are strawman, they would be easily dispelled. But you have failed to dispell them, for they reveal serious problems in Calvinism. Simply calling something a straw man won't cut it; you need to show how it is a misrepresentation of fundamental Calvinist convictions. I thought, if anything, I was being pretty forthright about how I really feel. ;-) I find Calvinism ("The Calvinist view of God" or "The Calvinist God") repulsive. But I love Calvinists as Christ loved the church and died for it, which includes my mistaken Calvinist brothers. An ad hominem attack is when you attack the character of your opponent (as you have done here in calling me disingenuous and a fraud. Elsewhere, you have also called Arminians proud, have said Arminians think it's "all about them," and the like - and your friend arthur here has insulted my familiarity with Calvinism instead of engaging my arguments). My level of dogmatism and rhetoric on this board has not been any higher than yours, yet when I ramp it up and give you a little taste of your own medicine, suddenly you call "foul." Calvinists know how to dish it out, but they cannot bear a sustained offensive against their system. They retreat as you have done here and elsewhere. Kyle, you are the one who launched immediately into an ad hominem attack with your "Calvinistic God" comment. I appreciate you clarifying that remark three weeks after the fact, but the clear implication is that Calvinists are idolaters, worshiping a God of their own creation. And quite frankly, it seems as if that was your intent. To me, that's attacking the character of your opponent. What's fraudulent about your arguments is that after tarnishing the credibility of Calvinists, you then proceed to define the terms of the "debate" with straw men like "How does causing sin and damnation glorify God?" That's akin to asking, "Have you stopped beating your wife?" If that's what constitutes a "sustained offensive," then don't be surprised when we tire of responding. I have clarified my position on Calvinists long before you came across that particular post on my blog. I have explicitly stated multiple times that Calvinists are Christians. Calvinists themselves often accuse Arminians of making a God in our human image in their system. To carry this over into saying the other party is not a Christian is simply unwarranted, especially when such a conclusion is explicitly denied repeatedly. There is no ad hominem attack implicit in my statements about the "God of Calvinism" or the "Calvinistic God." When consistently applied, I'm afraid He is indeed worse than the devil. But that doesn't mean Calvinists are thereby not Christians, which would be a logical howler of the worst degree. You can keep vainly surmising about my intent despite my clear comments to the contrary (comments that extend much farther back than the debate on this website), or you can actually answer my arguments. They are not straw men, for Calvinism *does* teach that God causally determines all things, including sin (I have heard Calvinists themselves say this, and those who deny it do so at the expense of consistency). If that's a straw man, show me how. Show me how in Calvinism God does not cause evil if Calvinists believe in an all-encompassing determinism. Otherwise, merely tossing up the word "straw man" is simply not an excuse for a lack of a defense. By the way, Calvinists are the ones who always wrongly define the terms of the debate as you did on this website when you put Calvinists on the side of God's glory from the get go. It's extremely interesting how Calvinists begin to call foul when the tables are turned. "Tarnishing your credibility?" C'mon now Lee, are you serious? Can we just keep the debate on the issues? On my own website I have repeatedly clarified by beliefs about the full Christian status of Calvinists while at the same time talking about the horros of the God of consistent Calvinism (the Calvinist God). If you did your homework a little better, didn't presume upon my motives, and just engaged my arguments, we wouldn't be having this problem. Again, if my arguments are straw me, they would be easily dispelled by pointing out how the God of Calvinism does not cause sin if He causally determines all things that happen. How does God not cause sin if he determines all? We have to know what sin is and then we look at intent. Take Joseph being sold into slavery as an example. God caused that to happen, but God's intent was to put Joseph in a position of power to where he could help his family and people. Nothing sinful about that, yet the intent of his brothers was thoroughly sinful. So we have a case of God determining one thing and then using "means" (this would be where the brothers are used) to accomplish His purpose. We would never assign sin to God, but we can to Joseph's brothers since they acted sinful by their own desire. When it comes to love, again we have to see that "love" is best defined as the perfect love that encompasses the trinity. God was "love" before creation because in the trinity there is perfect love always. Just as Jesus going to the cross was an act of love, but it was first directed at the Father, not mankind. Also, would you say that God "loves" everyone in the exact same way? God does have a love for all of His creation, but God also has a special love for His elect in Christ. First, thanks for engaging me! You are the first here to really grapple with the problems present in the idea of God causing evil in Calvinism. First, if God causally determines Joseph's brothers to sell him into slavery, then it is within God's directive and primary will that a sin occur, which cannot be the case with a holy God. Second, where did the evil intentions come from? On a theistic determinism framework, they are eventually traced back to God, who is the only real agent in the universe and who alone is the sufficient cause for all that occurs, including evil (and the intentions that deliberations that infallible determine evil to occur). Third, I don't think God can cause evil so that good may come. Certainly God can and does creatively *use* the evil that He *permits* and can bring good out of it, but He does not and I would argue cannot *cause* it so that good may come. That would mean that the supreme Good, the summum bonum, would require evil for His ends, which is impossible if He is truly good. Moreover, the greater good defense you are sketching out does not pan out because in Calvinism, God's primary intention is ultimately for many people to be unconditionally and eternally miserable simply in virtue of His causally determination that it be so. He determines their misery, not for a good end, but for a perverse one (to show His power at the selfish expense of others, perhaps?). I would argue that causally determining someone's eternal misery is inherently evil, and thus God cannot do it. God is still ultimatly responsible for the presence of evil in the world, because in the absence of His causal determination, creatures would never sin on deterministic premises. Nor does He cause evil for a good end, for the end of Calvinism is not good, but selfish and therefore evil (not that God could ever cause evil so that good may come anyways, something that is clearly maligned in Scripture in Rom 3 and 6). I agree with you that God is essentially perfect love and that from eternity each member of the Trinity has existed in self-giving love to the others. I don't believe God can love in any other way, for anything less is not love. He loves all things that He makes this way, and accordingly He wills and makes possible the happiness that best fits their needs and ends as He creates them. Anything short of this is simply not loving. God's so-called "general love" in Calvinism is not love at all when you spell it out. Showering a creature made in God's image with temporal blessings without providing for his ultimate needs (eternal ones, as Jesus says in Matthew 16:26) is not love, but rather fattening him up for the slaughter. I would argue that since God is essentially love, He provides all His creatures with the grace they need to be saved. Only then can we justifiably say that God loves all people made in His image. "God is still ultimatly responsible for the presence of evil in the world, because in the absence of His causal determination, creatures would never sin on deterministic premises." Kyle, what is your explanation of the Genesis 50:20 passage? It clearly says that God meant the evil committed against Joseph for good. It doesn't say he used it for good or turned it around for good. He meant it for good. Did God simply look into the future to see what would happen and just react to it? Isn't it possible that God had a plan? He was, after all, the one who gave Joseph the dreams in the first place. He did so knowing how Joseph's brothers would react. Based on everything you've been saying, how would the Arminian explain away God's responsibility? As a Calvinist, I would say that God in no way caused Joseph's brothers to sin. He didn't have to force them into plotting Joseph's murder. In fact, we see his merciful hand at work when Reuben talked the rest of the brothers out of killing Joseph. Perhaps we should ask the ultimate question: According to your theology, does evil have a purpose? It exists, you cannot deny that. And as an Arminian you must conclude that it exists because God allows it. So, why does he allow it? If he didn't ordain its existence, but simply allows it, how does God escape responsibility according to Arminianism? Couldn't he just as easily have created a world in which man freely chose not to sin? 1) Genesis 50:20 fits very well in the Molinist scheme I uphold. Knowing the sin that Joseph's brothers would freely do, He *permitted* this to occur so that good could result from it. If there was a way in which God could have brought about good purposes without His creatures choosing evil, He would have done that because He does not need evil. But in light of human evil, God is so amazing and creative that He can use the evil choices that He permits in light of the overriding good of giving human beings freedom. That's permission and planning, but not causal determinism. He "means" for it to occur in the sense that He willingly permits it in His providence, and He uses the evil choices for good. 2) As a Calvinist, you must say that God caused it, for God is the sufficent cause of all that happens in Calvinism. He gave them the sinful desires and intentions, determined their deliberations, and made the sin *necessary. * You can keep asserting that God doesn't cause sin, but you have yet to show *how* that is the case if God determines all things (which He does in Calvinism. Anything short of this is Arminianism and permission). 3) Evil itself is never *needed* in the divine purposes. Having creatures who are truly free is God's purpose, and evil is an unfortunate by product of creatures who freely rebel - and God is so good and creative that He can use it and bring good out of it through providential planning. But His planning is never to cause evil, only to permit it in light of the overriding good of having genuinely free creatures to see His glory and be in true relationship with Him and each other. 4) Your last question about God creating a world of free creatures in which all freely choose not to sin has been decisively answered by Alvin Plantinga in his Free Will Defense. It's tough to read, but it solves the problem. The long and short of it is that God cannot make a creature freely do something, and if a creature freely chooses to sin in a certain circumstance, God cannot bring it about that He doesn't, because our choices limit the possible worlds that God may create. So, are you ever gonna return to the debate we were having in the other threads? You continue to leave most of my objections and challenges unanswered as you try to get me to chase innumerable rabbit trails. Molinism has its own problems. Tell me, will you be able to sin in heaven? Also, God’s ultimate purpose is to glorify His name. In the example of Joseph we have to look at the intent of the parties involved. When you claim that God is the only real agent at work you are wrong, man plays a role as well and is an active agent. When you write “He provides all His creatures with the grace they need to be saved.” you take grace and turn it into an obligation. 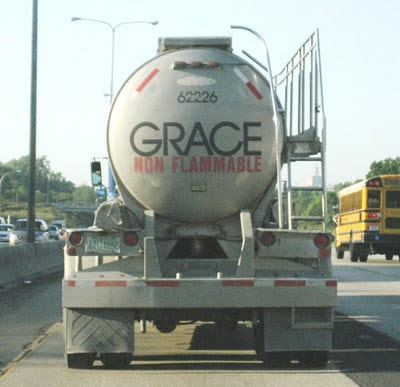 Grace becomes something that God *must do* in order to be “fair”. Second, where are we told that everyone is given this ability? Also, you never answered if God loves you in a different way than He loves Satan? If one takes Arminianism to its logical conclusion it will lead to Open Theism. Even in Molinism what you have is God actualizing *this* world and by doing that all other options are off the table. "I must hasten to add that it astonishes me how loudly Calvinists whine when an Arminian offers a strong attack on Calvinist theology"
I wasn't whining, I was chuckling. 1) We won't be free to sin in heaven because God's grace will have transformed us into the perfect image of Christ through our cooperation with His grace. Also, there will be no more temptation. I don't see how this is related to Molinism at all, or any other view of providence. 2) The only "agency" in Calvinism is that a man does what God determines him to do. How is this an "active" agent? Everything, including desires, deliberations, and the choice of the agent is causally determined by God. The important thing is not intent (since on Calvinism God determines even man's intent). The important thing is whether or not God causally determined sin, and in Calvinism He does, thus He is to blame for it. In every situation in which sin occurs, God's actions are causally sufficient for sin to occur. This makes Him to author of evil. It also means He needs evil for good, which is absurd. But let's talk about God's intent in Calvinism. You say it's to "glorify His name." So, God "glorifies His name" by unconditionally damning men that He could just as easily save by determining them to choose good forever on compatibilist premises? So, God is glorified by determining many of His creatures to be miserable? So then, indeed, God's intentions are evil in Calvinism since they are selfish (He is "glorified" at the eternal expense of His creatures that He does not even try to save). 3) Grace is undeserved and unmerited, but that doesn't mean that God doesn't give it to all men. He gives His unmerited favor (grace) to all men simply because He *loves* them all, not because He is "legally" obligated to or because they deserve it. You are quite correct that it's not a matter of being fair; it's a matter of being loving. Scripture clearly teaches that God extends His grace to all men. And 1 Cor 10:13 clearly teaches that men have a "way out" of sin, which means sin is not necessary, which means it is not causally determined, which means they have libertarian freedom, which means Calvinism is false. 4) God loves Satan, but Satan is incurably wicked since he rejected God decisively directly in His presence. He cannot be redeemed because He has decisively chosen evil, just as humans who reject grace do. 5) Yes, in Molinism God has providential control, but not by causally determining agents to sin. He permits evil, but does not cause it. Do you have a response to my earlier comments? "I wasn't whining, I was chuckling." By the way, the point of Middle knowledge is to show that God cannot actualize a world without evil because all creaturees freely sin. That's what the Free Will Defense is all about. So evil is not the result of God's choice, but our choice. In Calvinism, it's the result of God's choice alone (since in the absence of God's choice for sin to occur in a given circumstance in which a free agent is placed, it wouldn't occur!). Kyle if your objections had any merit or basis in fact, I would have. We won't be free to sin in heaven because God's grace will have transformed us into the perfect image of Christ through our cooperation with His grace. Also, there will be no more temptation. Why not just start there? I have never heard a LFW defense for how God can know an indermintate act before it happens. At best what you reduce God to is that He waits for you to actualize your choice and then He acts. That is clearly not biblical in anyway, yet it is the only way for God to "know". Just to spell it out when I say "know" I mean that even saying God "knows" all does nothing for you, because it is not a question of God knowing it is the difference in WHEN God knows? In any theory that advocates LFW God knows after the fact. This then means that God is dependent on man when it comes to LFW choices. Even Arminius himself said that God sometimes knows after it happens. That is not in the Bible that I read. You completely discount secondary causes when laying the blame on God. BTW, since you are a fan of Plantinga does that mean that you are a *supralapsarian* as well? If so that will hold some theological consequences and some of your argument would be null and void. "Having creatures who are truly free is God's purpose, and evil is an unfortunate by product of creatures who freely rebel..."
So, how do you explain original sin? Or do you even believe in such a thing? Romans 5:12 states that "sin came into the world through one man, and death through sin, and so death spread to all men because all sinned." If you truly believe that God wants all men to freely choose, then you have to adhere to a Pelagian concept of original sin. "...because our choices limit the possible worlds that God may create." Wow. And this does not elevate man above God? "... God cannot make a creature freely do something ... We won't be free to sin in heaven ..."
See why debating you is so frustrating? You can't decide what you believe. By the way, Kyle, you once again avoided my question: If God didn't ordain the existence of evil, but simply allows it, how does God escape responsibility according to Arminianism? Oh, wait...you're joking, right? There is no way you're serious. Please tell me you were joking.